#308 In which our hero reads an article that pertains to his children, then follows a link that immediately crushes his excitement. 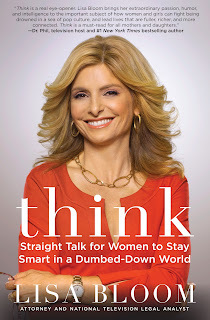 I came across an article titled, “How to Talk to Little Girls,” by Lisa Bloom. As the parent of two little girls, I was intrigued. I very much liked what I read. In the article Bloom discusses how our culture typically praises little girls by telling them how cute or pretty they are. I’ve experienced this first hand. Inevitably the first thing anyone says about my girls is to comment on how they are just adorable! Now, my kids are adorable, and I just say, “Thank you,” and don’t think much of it. However, I have been careful to always praise them for their brains, too. I want them to know that it’s okay to be smart, and good looks, which nice, aren’t the be-all and end-all of their existence. This message may not resonate as strongly as I’d like right now (they are only six- and seven-year-old), but I want to make sure that I’m constantly reinforcing the value of intelligence and education. She says she always asks little girls what they’re reading, This icebreaker generally, she writes, into a discussion about books and reading and all sorts of general girl-empowerment stuff. Which is all good in my book. Wow, I thought. That sounds awesome. I was staggered by the irony of what I saw. Wikipedia tells me that Bloom is 50 years old. She looks great for a woman her age… maybe too great? I’m not suggesting she’s had “work done,” as they say, but maybe she has. At the very least, she’s had a crew of hairstylists and make-up folks make her look as attractive as possible for this photo. And there was probably some re-touching done after the fact, too. But that’s really beside the point. Maybe this is really how fabulous she looks as soon as she rolls out of bed in the morning. 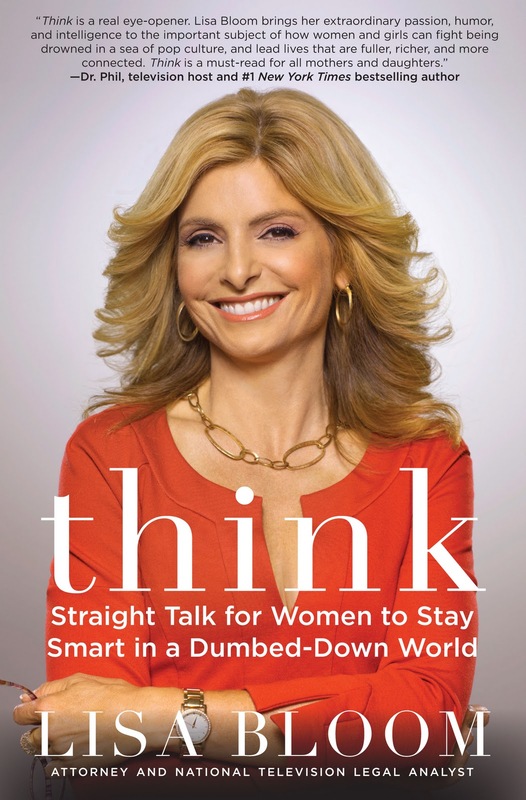 But if your book is about exercising your mind… is a glamour shot that emphasizes your good looks really the best choice? Now, to be fair, I haven’t read the book, and from what I glean it’s not just a screed about how women are unfairly judged by their looks. However, the article from which I found the book was squared delineated by that criteria: little girls are more than just their appearance, and you should support that notion. So, I probably won’t be buying this book. But, I will continue to talk to my girls about the importance of education, and how it’s cool to be smart. I’ll continue to read to them every night. And I’ll continue to stress how it takes more than a beautifully composed photo to make you something in the world. #307 In which our hero recounts a mysterious and new word he learned at his new agency. I’ve been at the new job for about eight months now. I feel like I’m getting into the groove of this place, finally, but the first couple weeks were a little rough. This agency is a purely digital agency, and my experience is primarily print and collateral. I’ve done plenty of websites and online banner ads, but I’ve never gotten into the finer points of search engine optimization, highly-interactive user experiences, rich media banners and all the other stuff that takes the online experience to a much higher level. I expected there to be a learning curve, but it was steeper than I thought. There was a lot of information presented in orientation that had me scratching my head; stuff that I assumed I would pick up as I got settled in. But then, there was the lingo. This agency is thick with jargon and agency-specific titles, programs and processes. My first week on the job I was anxious to prove myself and jump in and start producing good work. I was almost immediately pulled into a project for a smaller east coast bank. During the briefing, the Creative Director mentioned that we were going to have to turn around a concept pretty quickly, and would be producing an adlob to sell the idea. This is a term I was not familiar with. He mentioned it in passing, like it was something that everyone would know. I wrote in my notebook “ad-lob? WTF?” and planned on looking it up later. Maybe it was a banking term? I’ve done lots of financial stuff in the past, but that wasn’t ringing any sort of bell. He explained that it was an “ad-like object.” Adlob. I laughed and shook my head. In my previous agencies we would have probably said it was a mock-up. Most likely something that looked similar to an ad you might see in a magazine. Nothing that was to proper dimensions or even with finalized copy and graphics—just something to get in front of the client so they know where our thinking was. This was my first taste of much more silly jargon to come. #303 In which our hero shakes off the cobwebs of apathy and returns to his scribbler’s desk. A.) I’ve structured my writing so that entries are generally of a long and involved sort. I feel like I need to write something of substance to fill them out. I mean, the last time I wrote here was for my annual Father’s Day letter to my dead dad, so that’s some weighty stuff. Following that up with how I can never seem to get a decent Reuben sandwich out feels a little frivolous. B.) I’ve gotten way behind on stuff that’s happened to me. Like the new job, and the girls’ starting school again, and how my wife just bought a new horse… I feel like I can’t write about the most recent stuff until I get past the stuff that’s already happened and then you’re talking about writing four entries, not just one and oh-my-oh-my who has the time? So, I’ve decided that I’m going to re-think the way I structure this thing (and that is probably a completely esoteric writer’s thing: who really cares if my writing is following an established hierarchy week to week? I do.) and take a page (i.e., completely rip-off) another blogger’s page whom I recently rediscovered, Mimi Smartypants. She chucks together a bunch of sometimes random topics, gives each its own subhead and calls it done. And so I shall, starting later today.